A heavy armored wheeled vehicle (6X6) built with our own technology will be exported to Indonesia. Doosan DST signed a heavy armored wheeled vehicle contract in 2009 with the Indonesian army and commenced production of these vehicles in November 2011. After carrying out operational tests along with firing and field maneuvering tests starting in early 2012, Doosan DST announced on 5 May that the production of its 6X6 heavy armored wheeled vehicle has been completed in early May 2013. 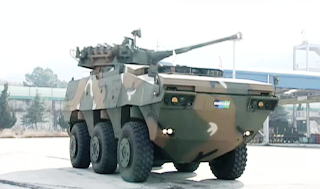 Prior to this announcement, DAPA officials, Indonesian inspectors, and affiliated companies held a roll-out ceremony on 2 May for the heavy armored wheeled vehicle (name for the Indonesian army: Tarantula 6X6) that will be delivered to the Indonesian army. The number of heavy armored wheeled vehicles that will be delivered to the Indonesian army. 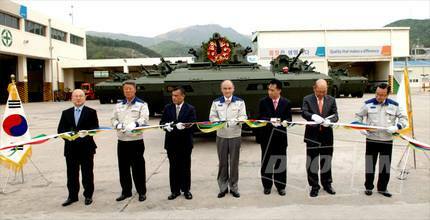 Doosan DST is responsible for manufacturing the armored vehicle and assembling the turret. 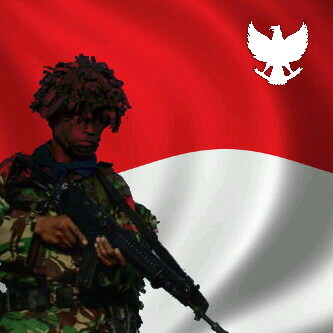 Also, an Indonesian arms factory will assemble SKD-type armored vehicles on site in Indonesia. The export of wheeled armored vehicles designed to be lightweight and water service to meet the conditions of the terrain Indonesia boarding crew the three (jojongsu, deputy shooter) and a weight of 18 tons. 100Km per hour on the ground, you can be awarded more than 8km per hour speed. The destruction operations in the operation, equipped with a 90mm gun and a 7.62mm machine gun chariot and hit the enemy phalanx equipped firepower and guerrilla navigation. The 6X6 heavy armored wheeled vehicles that will be delivered until the end of the year are 18 tons in weight and can hold 3 crew (driver, tank commander, gunner). Its top speed on ground is 100km per hour and can reach speeds up to 8km in the water. The heavy armored wheeled vehicles that will be exported have been manufactured tailored to the Indonesian terrain and thus is lighter and can be operated in the water. Also, by arming these vehicles with a 90mm main gun and a 7.62mm machine gun, these vehicles possess the fire power capable of attacking dense enemy units as well as enemy tanks. At the same time, they are known as combat armored vehicles that can be operated for guerilla search and destroy operations. Doosan DST also exported the K200A1 tracked armored vehicle to Malaysia for the first time in ROK history in 1993. Serda Ucok, Anggota Kopassus Eksekutor Cebongan?